Why do cats and dogs eat houseplants? Some people believe it's to calm an upset stomach or help process hairballs, while others think pets are attempting to remedy a nutritional deficiency. Cats and dogs may even chew on houseplants during play sessions, attacking waving fronds as they would a toy. 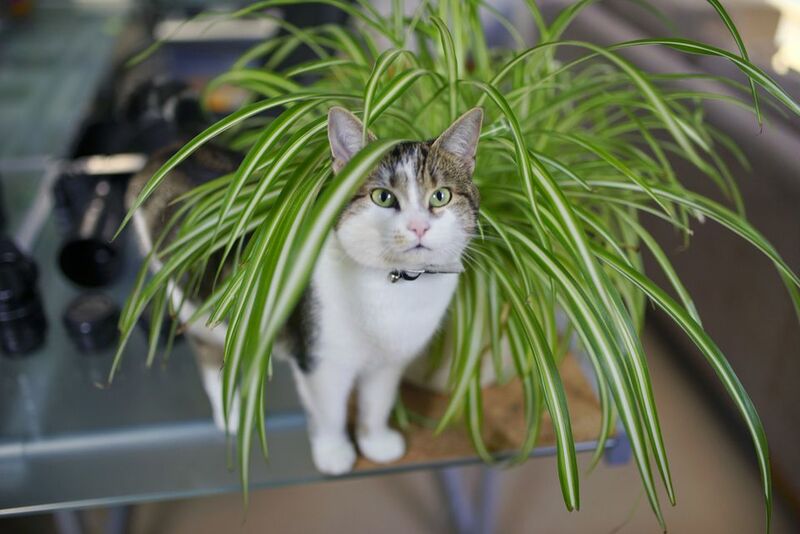 It can be difficult to keep a houseplant away from a pet with a determination to chew, so it's up to us to ensure that any plants we cultivate in the home are safe and non-toxic to cats and dogs. With the exception of edibles like cat grass, it's always better to keep houseplants out of a pet's reach if you can, but these 20 plants are recognized by the ASPCA as being non-toxic to cats and dogs. Sinningia speciosa plants are popular gift plants, especially around holidays like Valentine's Day and Mother's Day. If you receive one of these gorgeous bloomers, you won't need to worry about it harming your cat or dog. Provide indirect light and constant moisture for this Brazilian native. African violets (Saintpaulia) are one of the most popular flowering houseplants, due to their ability to bloom in low light and their affinity for the same environmental conditions that people like: moderate temperatures and average humidity. Choose a soil-free potting mix and a use a balanced fertilizer for best African violet health. This creeping mat of tiny green leaves of Soleirolia soleirolii adds character to terrariums, small hanging baskets, and as a companion plant around the base of indoor trees. Use baby tears plants to cover soil and to discourage pets that like to dig in your houseplants. Large houseplants like the weeping fig make a bold statement in the home, but are toxic to cats and dogs. However, the banana (Musa) is a dramatic accent plant that is safe for all pets. Rich soil, bright light, and regular watering will emulate the natural habitat of the banana. Thank you, spider plant (Chlorophytum), for looking just as cool today as you did in grandma's kitchen in 1978. Also known as ribbon plant or airplane plant, the spider plant is non-toxic to cats and dogs, and will tolerate a wide range of light, moisture, and soil conditions. Carnivorous plants make a fun and funky addition to the houseplant collection, but what happens when kitty wants to pounce on one of those traps when they snap shut? Venus fly traps (Dionaea muscipula) are non-toxic to cats and dogs, so a curious nibble won't result in a trip to the vet. Bright light and irrigation with distilled water will keep your traps in fly-catching condition. Also known as the butterfly palm, Dypsis lutescens makes any interior feel like a piece of the tropics. Sometimes palm fronds can trigger a cat's playful swatting and biting instincts, so it's comforting to know that the areca palm isn't toxic for cats or dogs. Grow in a bright room, and allow soil to dry out between waterings. Boston ferns (Nephrolepsis) are an enduring houseplant favorite, but their shaggy fronds may tempt cats and dogs to chew. The foliage is non-toxic to cats and dogs, so brighten up your guest room or bathroom with these lush plants. Boston ferns like humidity and lots of bright, indirect light. Calathea spp. plants, also called zebra plants or peacock plants, bear large tropical leaves with fascinating stripes or stippling. A calathea is an excellent choice for a shady spot in the house, as too much light can cause the plants to bleach out. Pilea involucrata is a trailing plant with fragile stems that thrives in high humidity. It does well as a terrarium specimen, making it even more unlikely that your cat or dog will take an unauthorized nibble. The pink, red, and white splashed foliage of Hypoestes phyllostachya is so ornamental, you won't need to worry about providing the perfect conditions to trigger blooming that many houseplants need. Although non-toxic to cats and dogs, sensitive pets may experience mild digestive upset if large quantities of the polka dot plant are consumed. The diversity of colors and textures across the Peperomia species keeps them on the short list of popular houseplants. They are non-toxic to cats and dogs, look great in hanging baskets, and don't mind if you forget to water occasionally. If you have a passion for orchids (Orchidaceae), you can safely add them to your go-to list of pet-safe plants. Many orchids bloom for weeks in the winter when days are short, thriving in partial light and root bound conditions. One of the common names of Fittonia spp., nerve plant, has the ominous sound of something that affects the nervous system. However, this rainforest native with lovely white or pink veining on its leaves is non-toxic to cats and dogs. The small houseplant thrives in low light with moderate watering. The asparagus fern (Asparagus aethiopicus) shows how the boundary between vegetables and ornamental plants can become blurred. This aptly named plant is a relative of the asparagus, and is not a true fern. Grow your asparagus fern in rich soil and provide filtered light and average water. The tough, strappy leaves of the bromeliad and the curious cone-shaped blooms make bromeliad plants (Bromeliaceae) favorites as houseplants. These pet-safe plants are easy to maintain, needing only a bright window and a humid environment. Many bromeliads will grow as soil-free epiphytes attached to a log, making them even more pet-friendly for those cats that like to dig in potting soil. What self-respecting cat can deny himself a passing swat at the alluring leaves of the pony tail palm (Beaucarnea recurvata)? These non-toxic plants thrive in bright light and like their water on the dry side. The textured leaves of the purple waffle plant (Hemigraphis alternata) offer all-season interest for those who don't grow flowering houseplants. 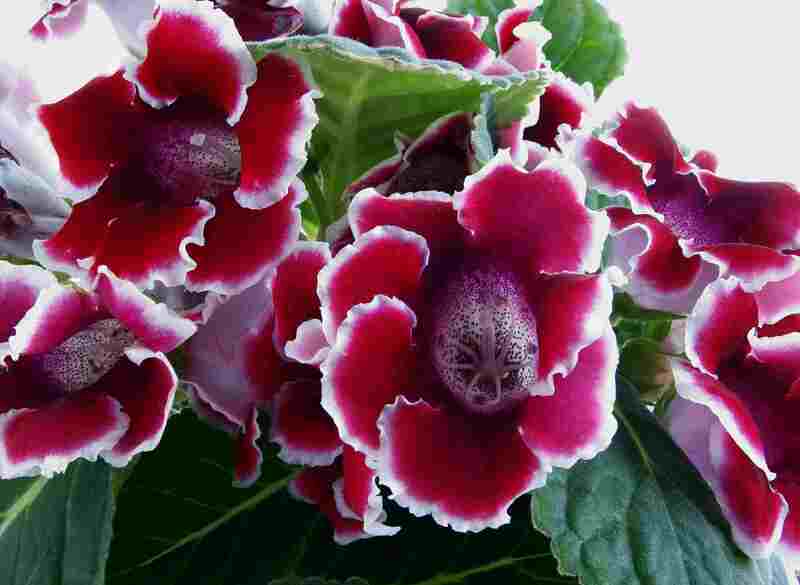 Bright indirect light will help to maintain the purple coloration without bleaching the leaves. Purple waffle plants are known as great air purifiers, keeping the environment healthy for you and your pet. Gynura aurantiaca plants look like something from a psychedelic garden come to life. The velvety hairs on the leaves are almost iridescent, and are at their most vibrant in bright light conditions. Water only when dry to prevent root rot. No need to drop any cash on a faux succulent at the hobby store; haworthia is the real thing, but almost as easy as the fake version. Place your haworthia in bright light, and water weekly. Unlike the similar-looking aloe plant, all plants in the large Haworthia genus are safe for cats and dogs.